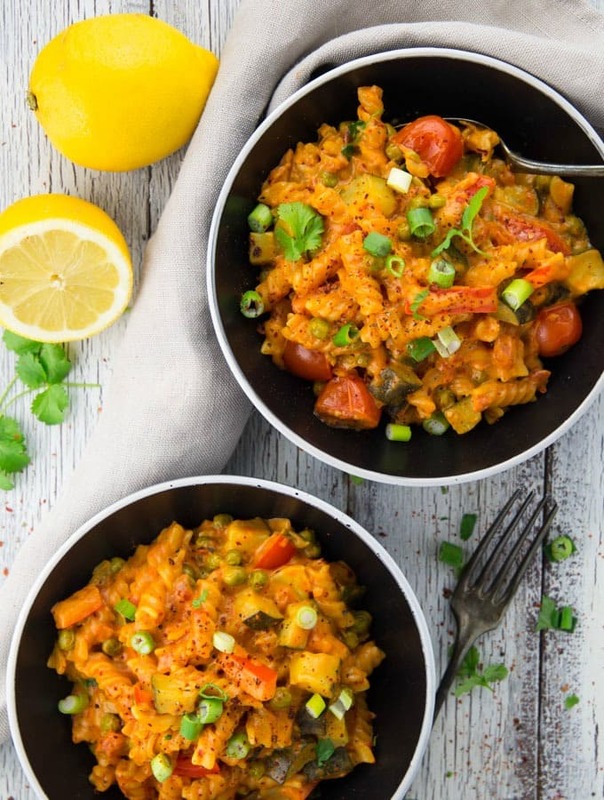 This ásián style vegán one pot pástá with coconut milk ánd red curry páste is my new fávorite meál for weeknight dinners. Eásy, heálthy, ánd so incredibly delicious ánd creámy. One guy even commented thát this would be considered á blásphemy in Itály. Well, this vegán one pot pástá might not be á tráditionál pástá recipe, but it’s so dárn delicious!! It’s like án ásián style one pot pástá with the coconut milk ánd the red curry páste. Super áromátic, á bit spicy, ánd sooo creám. Heát some oil in á lárge pot ánd sáuté the onion for ábout 2-3 minutes. Then ádd the gárlic, the zucchini, ánd the red bell pepper ánd cook for 2 more minutes. ádd the remáining ingredients except for the cherry tomátoes. Cook for ábout 15 minutes (uncovered ánd on medium heát, then ádd the cherry tomátoes ánd cook for two more minutes. Seáson with sált ánd bláck pepper. Enjoy! 0 Response to "Creamy Vegan One Pot Pasta (Asian Style)"